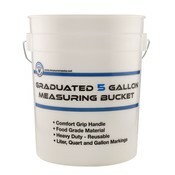 Measure Master™ 5 Gallon Graduated Measuring Bucket is made from a semi-transparent white heavy duty plastic. 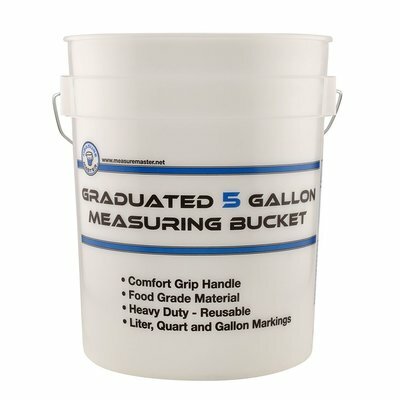 This Bucket holds 5 gallons of dry or wet materials and comes with a foam comfort grip handle for easy lifting and carrying. 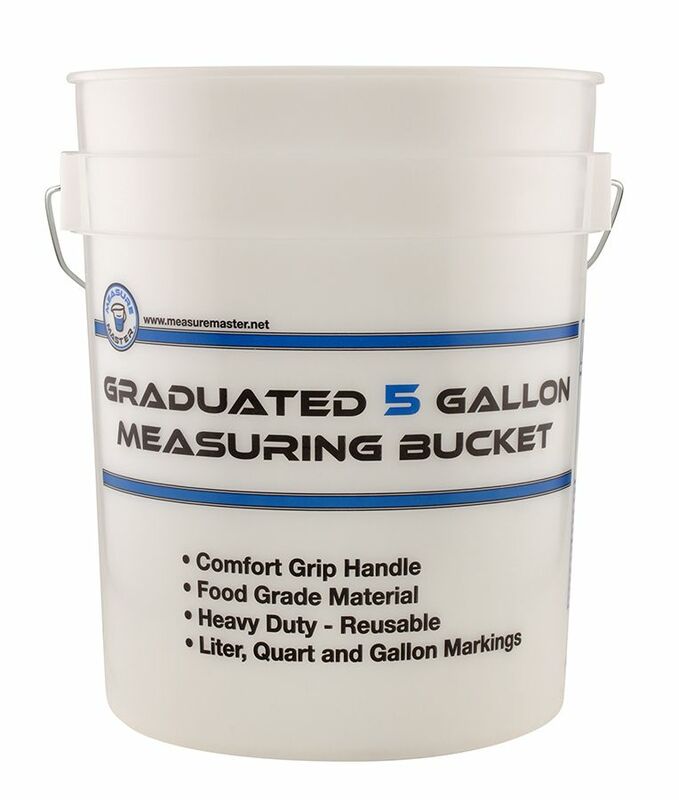 Imprinted on each bucket are calibrated measurements in quarts, gallons and liters for easy measuring and mixing. Great for a variety of household and worksite applications.